A good quote can hold within it a thousand separate insights, just as surely as some poorly constructed thought can reveal someone as a fool. Quotable Quotes looks at what is said, what was said and, on occasion, how the two compare. In this edition, a quote from 2000, from former ANC stalwart and Justice Albie Sachs about South African art and how it was independent of political hegemony and correctness; an appraisal that stands in stark contrast to the ANC’s recent response to ‘The Spear’. The ANC of today might not be “confident” or “powerful” but you can be sure, its response to ‘The Spear’ will change all of that. 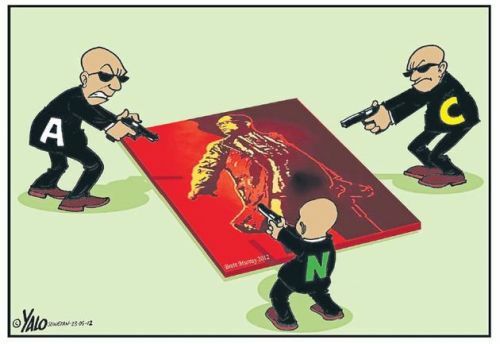 The politically correct nature of art has been put squarely back on the table and as with so much good the ANC of the last decade has undone, it is busy undoing this too. I wonder what Sachs makes of all the furore around ‘The Spear’. Someone should ask him.